6 Bedroom Terraced House For Sale in London for Asking Price £1,795,000. 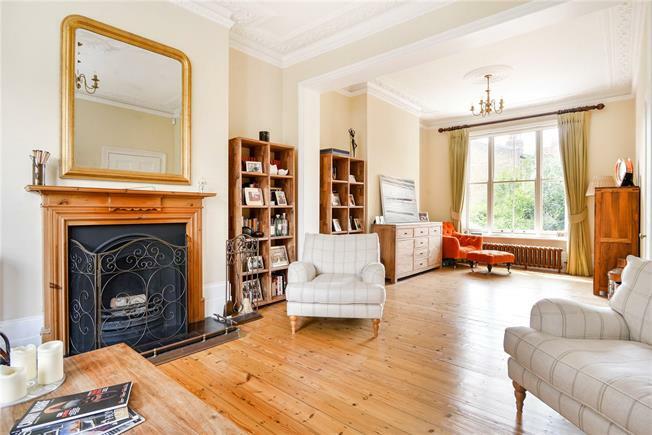 An attractive and beautifully presented six bedroom Victorian family home of grand proportions, featuring a wealth of period charm and character including high ceilings, decorative coving, exposed timber flooring, sash windows and ornate feature fireplaces. The spacious accommodation is arranged over five floors and is approaching 3,000 square feet including a self contained top floor annex with kitchenette, bedroom and bathroom perfect for an au-pair or visiting friends and family. The house enjoys an abundance of natural light throughout due to large bay windows to the sitting room and dining room with original sash windows to the remaining rooms. The kitchen dining room is a particular feature of the property as is the stunning double reception room, which features bespoke cast iron radiators, decorative coving and high ceilings. Further accommodation includes six bedrooms all of a good size, four bathrooms, study and W.C.
Langdale Road is a popular road situated just off Greenwich High Road in the heart of the Ashburnham Triangle. Both the overground and Docklands Light Railway at Greenwich are just moments away making it the ideal location for anyone working in either the City or Canary Wharf. All the shops, bars and restaurants of Greenwich are nearby as are the open spaces and historic buildings at Greenwich Park. The property is approached via stone steps which lead to two entrances. A patio garden can be found to the front, with a 50ft garden to the rear which is mainly laid to lawn with a decked patio area, perfect for al-fresco dining in the summer months. To the rear of the rear is a further paved area with a pretty pergola and a gate leads to the gated Victoria Gate Gardens.